Music that is uniquely New Orleans. An experience that is simply Magnolia Entertainment. 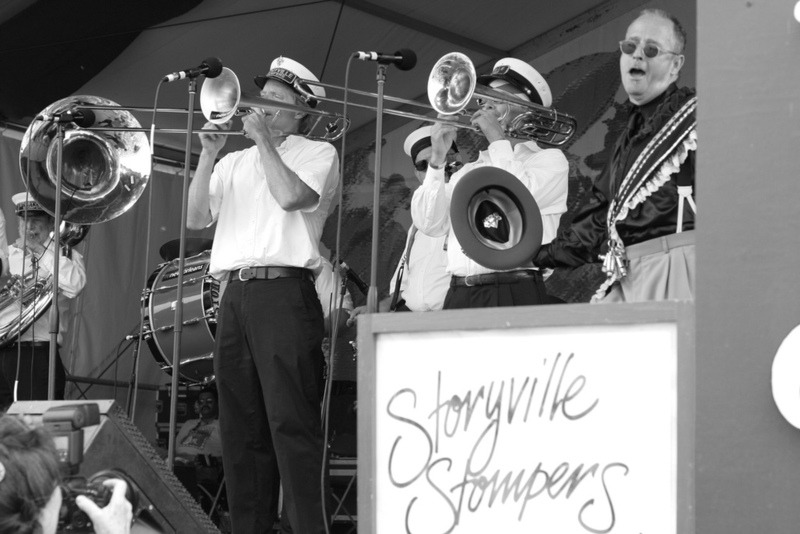 The Storyville Stompers Brass Band, established in 1981, performs New Orleans brass music in the traditional style, a music considered the foundation for Jazz and Dixieland. This is the go-to Second Line Brass Band of New Orleans, although they perform for any function that warrants celebration. The band also performs jazz funerals. The Stompers have been enjoyed by audiences of all ages in Asia, Europe, South America, across the U.S., and at sea. This band is perfect for any and all second lines. Magnolia Entertainment is a New Orleans-based music talent agency. For questions regarding the Storyville Stompers Brass Band, and for all your music booking needs, contact us HERE.